Do you know that a normal everyday trip to a toy shop with one child takes an average of 3 hours? We are here to give you 179 minutes of your life back! We started this business back in April of 2006. 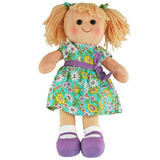 Our humble beginnings came from selling one brand of toys online - Bocchetta Plush Toys. 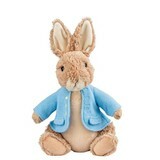 We now sell almost as many Bocchetta Plush Toy products as all of the other online retailers put together. We have grown to selling more than 40 of the worlds leading brands of Stuffed animals, Plush toys, Soft toys, Baby activity toys, rattles, hand puppets and many more. We have now shipped close to 300,000 toys to over 40 different countries since opening. We have delighted over 175,000 customers with our toys and our service. We never drop ship, we have everything here ready to dispatch today, so no delays. We were the first Australian plush store online that offered a phone number to chat to the owners, to give people confidence. We were the first Australian online plush toy store to have an online chat feature for our customers. 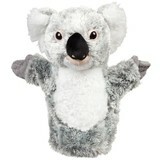 We are the first and only plush toy store in Australia offering 100 day returns. We are the first Australian online plush retail specialty store to be granted Trusted Store status by the worlds biggest search engine, Google. 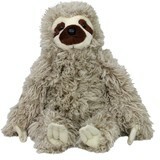 Stuffed With Plush Toys™ is now a recognised brand in the world of online shopping for Plush Toys & Stuffed Animals. We are very proud of what we have built, and are thankful to our wonderful customers for trusting us with their orders. Absolutely impress our customers with our service and our products. Ship your toys and deliver as fast as humanly possible. Service with a smile and be easily contactable if there is a problem. Build trust with our customers making them lifetime buyers. Never let a customer down if it's our fault, or we can help in any way. 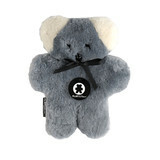 Stuffed with Plush Toys™ is part of Trading Street Pty Ltd. We are a registered business based in Adelaide, Australia. You can make contact with either of the owners of the business via our Contacts Page, or even by using the Online Chat at the bottom right of the screen if you see us online. We sincerely hope we can help you in the near future.